Welcome back to #eduroreads! Here are some of the most interesting articles that we’ve come across in the last couple of weeks. There are couple of interesting links related to professional development and what makes for a quality professional learning experience. If you’re interested, be sure to scroll down to the bottom of this post! If you are interested in attending a dynamic professional learning event and are in/near the Pacific Northwest, we will be hosting Tech Tastings in Walla Walla, Washington on November 11 – 13, 2015. Check out the event page for more details! Thanks Mr. D! 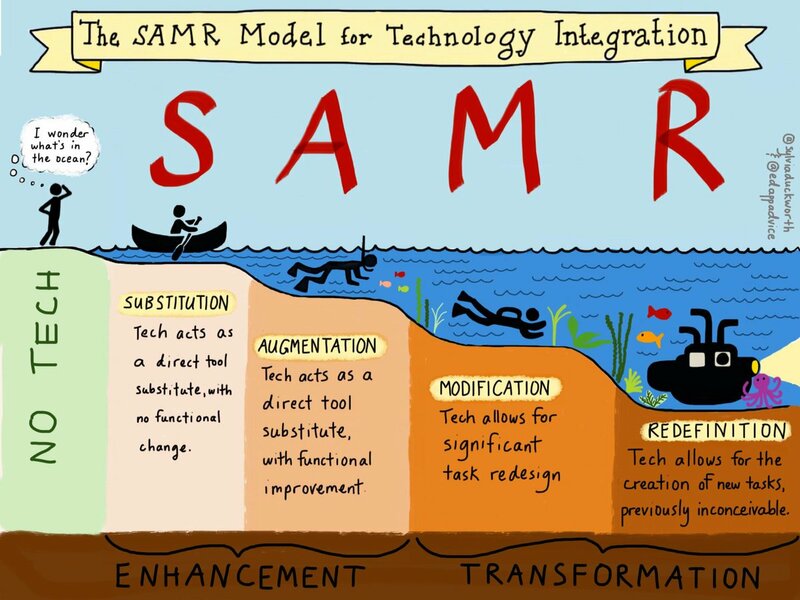 It is an interesting metaphor for SAMR, though it does miss out on the cyclical nature of redefinition and substitution. That which was new soon becomes old. That which was redefinition soon becomes commonplace. We must constantly be on the lookout for different ways to redefine the learning.